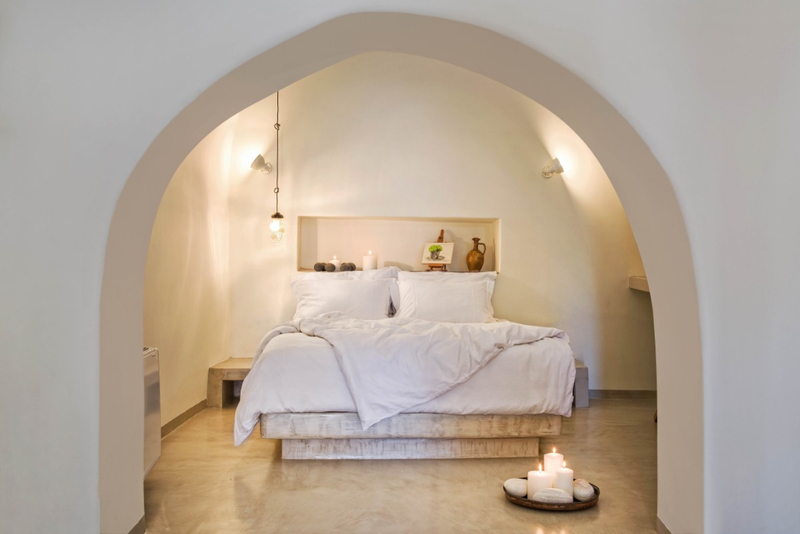 Mantilida Villa in Santorini can comfortably accommodate up to 8 people in the House and the Canava (you can book the whole villa complex!). 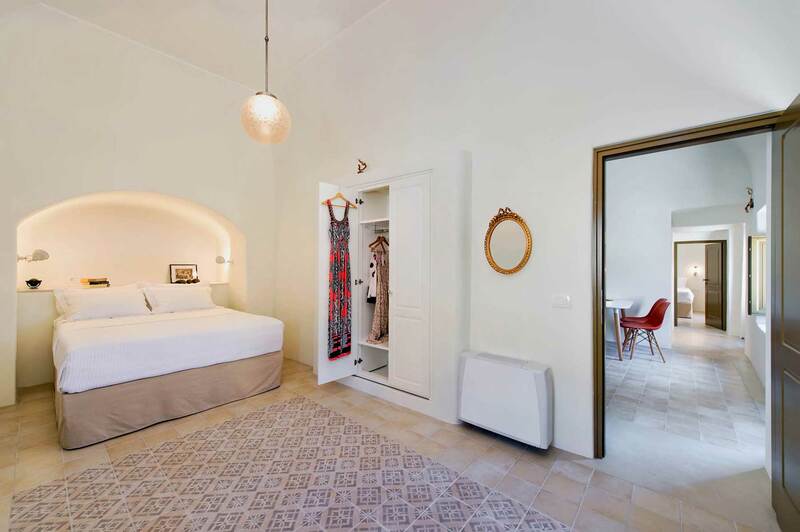 The property shares a swimming pool area with sun loungers, sunshades and outdoor furnishing. Mantilida Villas is surrounded by a beautiful garden of local flora, trees, plants and herbs that create a colourful atmosphere scented with the aromas of Greek summer. 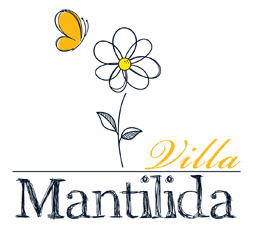 Let’s discover the facilities of Mantilida Villa! Tip: From our beautiful garden, guests are able to enjoy the view of the famous “Castle of Goulas”, the beautiful village and the Sea.